Need a trailer ? Add $695 for a Yacht CLub bunk Trailer. 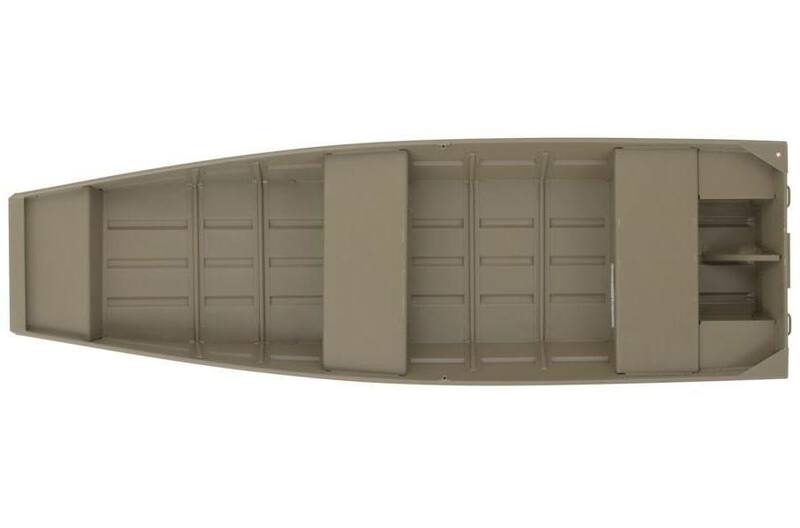 The TRACKER® Topper 1436 jon boat is our lightest 3-angler aluminum boat. 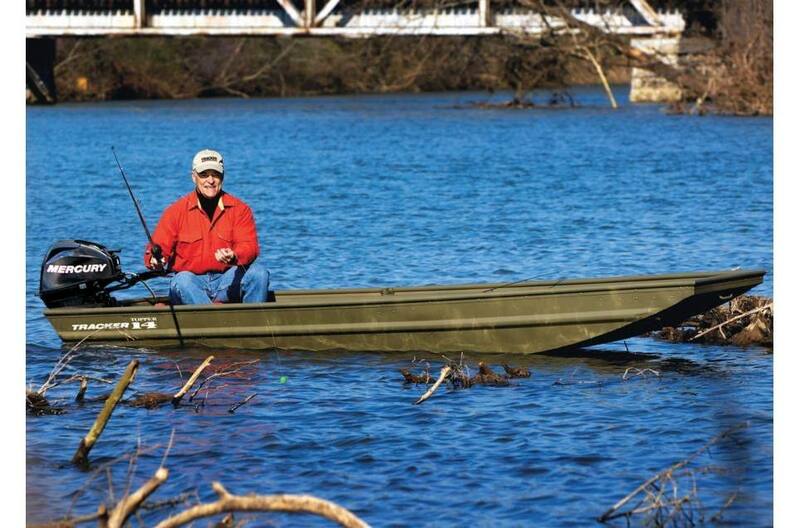 It's reinforced with aft foam boxes, corner braces at transom and aluminum ribs that extend up sidewalls for strength—so it's tough enough for a ride in the back of the truck down an old dirt road to your secret fishin' hole! Beam: 4 ft. 5 in. Max. person weight: 345 lb. Max. 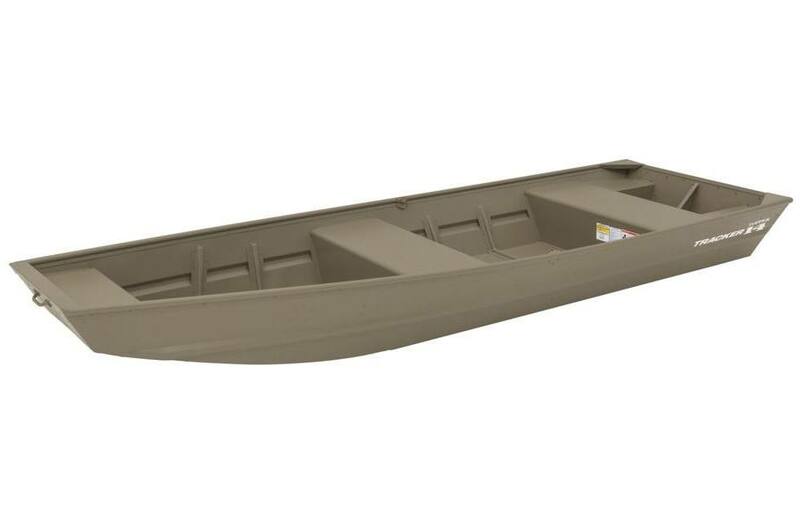 weight capacity: 580 lb. Average dry weight: 162 lb. Average package weight: 314 lb. 3 persons; 2 persons; 345 lb.